Apple's iOS 11.1 beta 3 also includes the return of the 3D Touch multitasking app switcher, added with beta 2. The third beta of watchOS 4.1 does not appear to add anything else, after an earlier version of the beta introduced support for streaming radio stations, including Beats1, over LTE. iOS 11 was quickly patched with two minor releases, fixing glaring bugs. It is not clear at this point if the bug fixes introduced in iOS 11.0.3 have been rolled into the latest iOS 11.1 beta —but the issues fixed in iOS 11.0.1 and iOS 11.0.2 have. 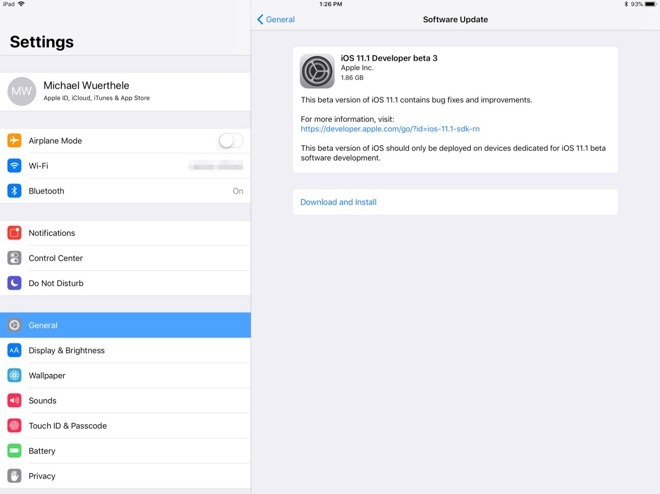 Update: Apple has since released identical versions to public beta testers.